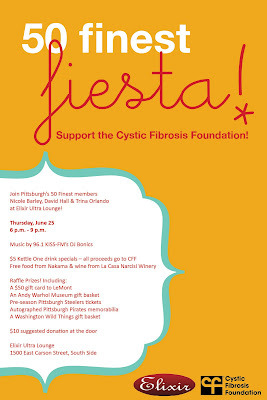 My man David Hall from KDKA asked me to Dj at Elixer for one of his Cyctic Fibrosis 50 Finest event. This organization picks 50 single men and woman who are movers and shakers in PGH and surrounding area. I was chosen 2 years ago and was the third highest fundraiser in that year. CFF is a great foundation and I’m glad I could continue to support it.